This is a very positive report for the nation’s election system after a rough ride in the run-up to Election Day 2018. 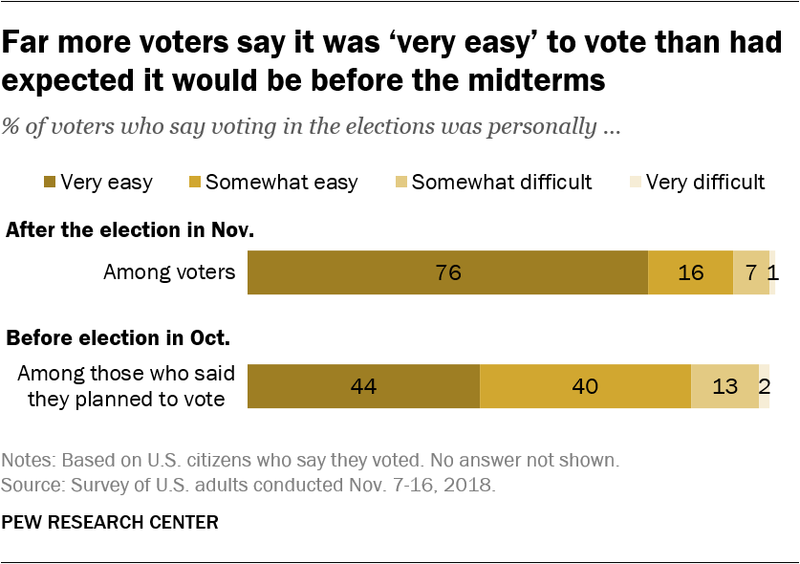 Thanks to Pew and the Democracy Fund for conducting and sharing these results; it’s reassuring to know that the election system is a source of confidence – especially given the stress it, and election officials, typically face in a Presidential election cycle like the one that’s now(!) upon us. Be the first to comment on "New Pew Poll Finds High Voter Satisfaction With Election Process, Security"